We have been having a very unusual Fall/late Summer here in Oregon. We actually hit 100 degrees the other day! Say what?! Did I mention it’s mid September? Despite the warm weather, I’m still in Fall mode. I had my first pumpkin spice latte the other day from Dutch Bros (not a Starbucks fan, thank you very much)!… and today I’m headed over to Target to grab those pumpkin spice M&M’s I read about recently! So last week I got the itch to make pumpkin puree from the pie pumpkins in our garden. 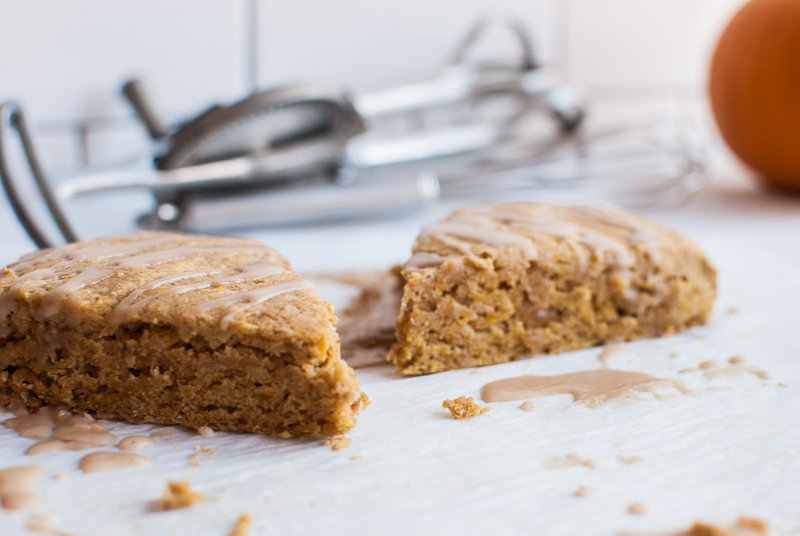 I was craving something pumpkin, anything pumpkin homemade…and that is how these scones came along! Did I mention these are gluten free? Oh yes! Once in awhile I like to play around with gluten free recipes. I buy all my GF flours in the bulk at Bob’s Red Mill. He’s a genius. Bulk and gluten free flours? Yes! We make the trip to the other side of the river about twice a year to stock up. GF flours CAN be expensive, so shop around. You can buy Bob’s red Mill flours on line too. Back to these scones. You know the scones that my not-so-favorite coffee shop has this time of year? Yes, those ones, I will only stop by there for those scones, not their overly processed, burnt coffee. 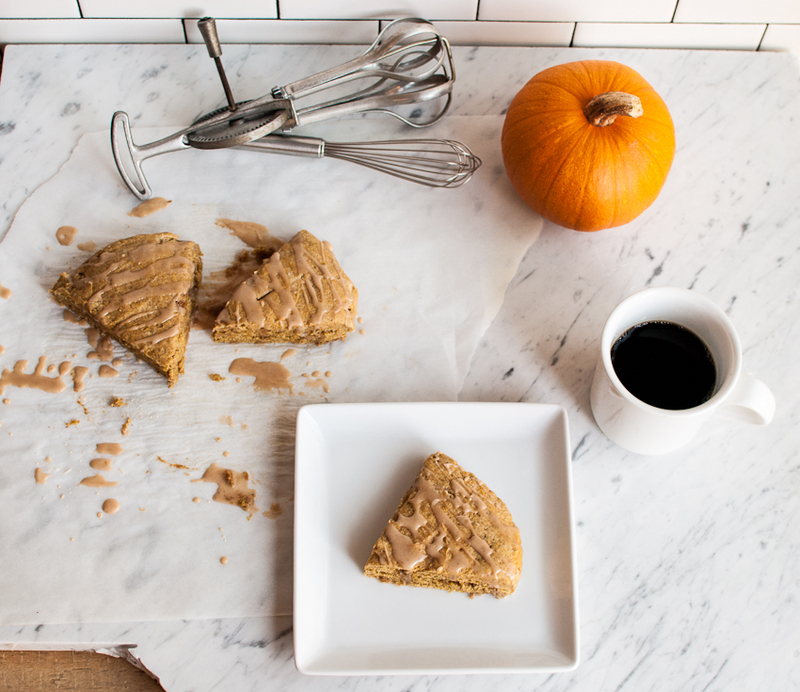 Pumpkin Scones with a Maple Glaze….yummmo! Can you say Fall explosion in your mouth? 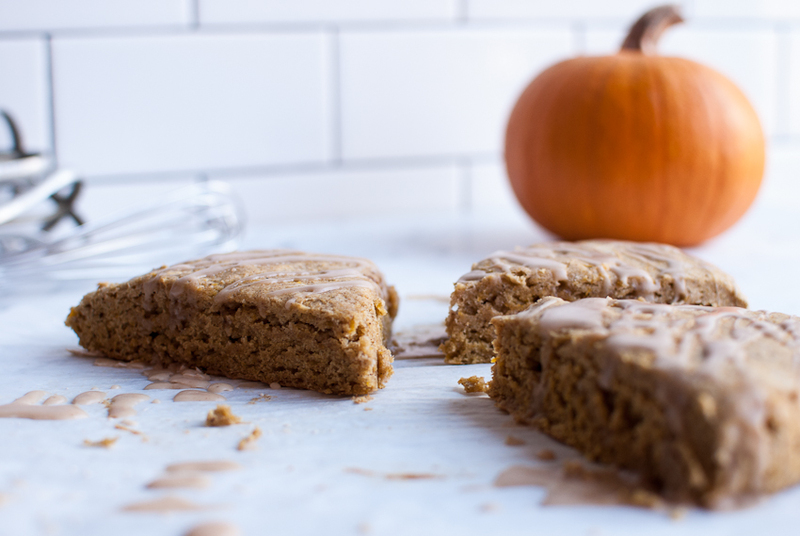 So warm and tasty with pumpkin and spices, they are very comforting on a cool fall morning. Now if this heat wave would just pass so we could get on with Fall already! In a large bowl, whisk all the dry ingredients together. With a pastry cutter, cut in butter until mixture is crumbly and combined. Add in pumpkin, egg, milk, maple syrup and lemon juice. 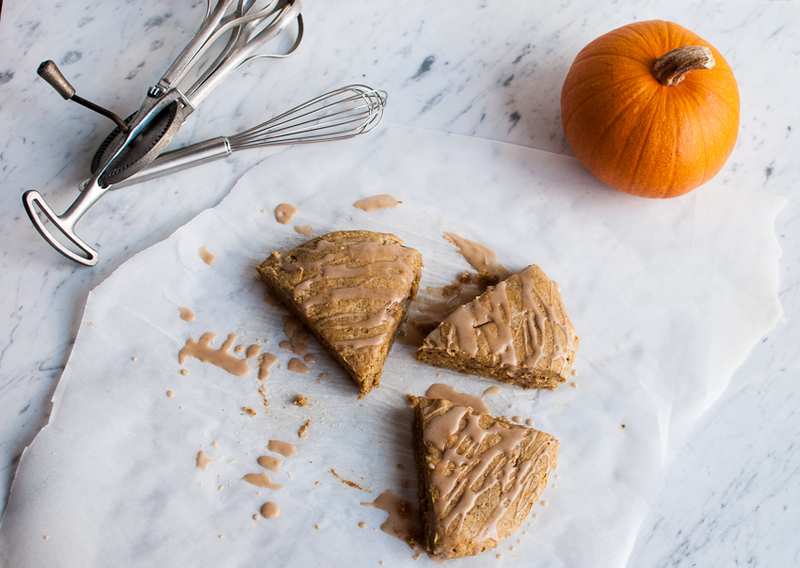 With a spatula, turn mix out onto a piece of parchment paper on a cookie sheet. Shape into a round mound, smoothing with a spatula. it should be about 3-4 inches thick. Slice into six wedges, they will still be touching. Cool on a wire rack and make frosting. Whisk together the sugar, maple syrup, vanilla and milk until thin desired consistency. You might need to add a little more milk if it's to thick. Drizzle or spread on cooled scones.